AUBURN — The lights on the top floor of the Phoenix Building are dark. 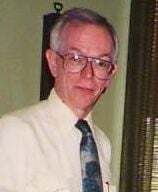 Robert William Nagle, CPA, age 75, passed away unexpectedly on Oct. 22, 2018, at his home. Born on Feb. 27, 1943, in Auburn, he was the son of the late Joseph Edmond “Ed” Nagle and Jeanne Carolyn Cadwallader Nagle. Bob was a graduate of St. Alphonsus School and East High School, class of 1961. Having survived rheumatic fever at the age of four, which kept him bedridden for months and left him with permanent damage to his heart, Bob didn’t play sports in school, but he enjoyed hunting and belonged to the Rifle Club and Chess Club at East High. He had a special bond with his dog, Rusty; as a teenager, Bob was heartbroken when he lost Rusty to illness. He carried a photo of Rusty in his wallet for the rest of his life. Always proficient with numbers, Bob decided early in life to pursue accounting as a career. He earned an Associate in Science degree in 1963 from Auburn Community College (now Cayuga Community College), and a Bachelor of Science degree in Accounting from Le Moyne College in Syracuse, class of 1965 — and married his first wife, Christine Coomber, during his senior year. After college, Bob worked as an accountant at Agway in Syracuse and Ithaca, N.Y., and then at Dermody Burke & Brown in Auburn. Once he passed his Certified Public Accountant (CPA) exam, he opened his own practice in 1975 in the Auburn Savings Bank Building (now the Phoenix Building), providing accounting and tax services for many business and personal clients over the years. In 2015, on the 40th anniversary of opening his practice there, Bob was recognized as the longest-ever tenant in the Phoenix Building, and was featured in an article in The Citizen. Due to his familiarity with the building, especially its temperamental elevator, Bob was considered the Phoenix’s unofficial maintenance guy. His name and phone number were posted in the elevator for passengers to contact in case of mechanical trouble — and on at least one occasion, he rescued passengers who were stuck in the elevator. Bob was known for his devotion to business and civic causes. He served for many years on the Auburn Small Business Assistance Program Loan Committee and the St. Alphonsus School Alumni Association, and he was the longtime Treasurer of the Cayuga County Democratic Party. Stubborn, goofy, meticulous, intelligent, and fiercely independent, Bob always marched to the beat of his own drum, and lived life on his own terms. He enjoyed following the news and discussing current events, and loved watching sports, especially boxing. When his dad was still alive, Bob often invited him over to “watch the fights” on HBO. He loved his cat, Sammy, who adopted Bob in 1995; enjoyed tending his yard; and cherished spending time with family. The greatest gift he gave his family was quitting cigarettes in 2012 after more than 50 years as a smoker. He is survived by daughters, Cynthia Nagle (James Larkin), of Albuquerque, N.M., Traci Nagle (Sumit Ganguly), of Bloomington, Ind., and Ruth Ann Brant, of Auburn; wife, Elizabeth Nagle, of Auburn; grandchildren, Tara Ganguly, David Brant, Maliah Ross, Alaina Larkin, and Collin Larkin; siblings, Richard (Dolores) Nagle, of Auburn, Wash., Carole Nagle Tobin Pinkley, of Macedon, N.Y., and Thomas (Susan) Nagle, of Auburn; and several nieces, nephews, and cousins. He was predeceased by his father, Ed in 2005; mother, Jeanne in 2007; and infant sister, Mary Lou in 1955. A funeral Mass will be held at 10 a.m. on Tuesday, Nov. 20, 2018, in St. Alphonsus Church, with a celebration of Bob’s life afterwards at the Sunset Restaurant. Interment will be in St. Joseph’s Cemetery. In lieu of flowers, donations in Bob’s memory may be made to the Leukemia & Lymphoma Society or to St. Joseph’s School, Auburn.